AP LAWCET Result 2019: All candidates who have appeared in AP LAWCET exam are notified that they can check their score at the official website. It will be available through Online mode only. Sri Krishnadevaraya University, Anantapuramu will be responsible for releasing the results. All participating colleges will publish the cutoff immediately after the result announcement. Read this article carefully to get more information on Andhra Pradesh LAWCET Results. Candidates are advised to go through the expected Result Date. Since the official authority has not yet declared the dates, so we will provide you official date later. 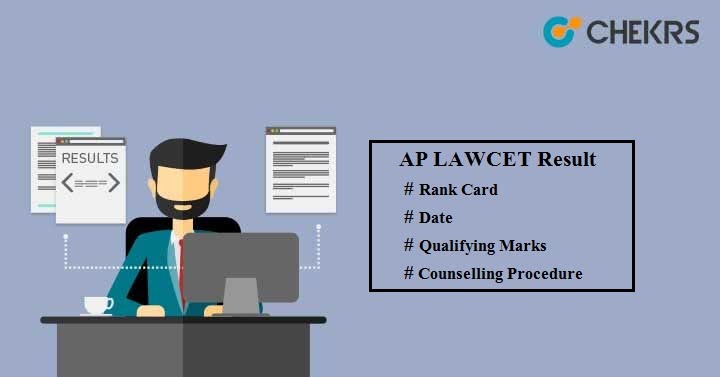 Candidates must go through the steps mentioned here in order to get your Andhra Pradesh LAWCET Rank Card. Move to ‘AP LAWCET-2019’ option present at the home page. Click on ‘View Results’ option. Enter your Registration Number & LAWCET Hall ticket No. and then click on ‘View Result’ tab. Your AP LAWCET 2019 Result will be shown on your computer screen. Save it to your folder and take a print of downloaded result for future use. Candidates will have to score a minimum of 35% marks in order to qualify the entrance test. Those who will succeed to obtain the required AP LAWCET Cut-off will get the opportunity to take admission in various law colleges in Andhra Pradesh state. There will be no minimum qualifying marks for reserved categories. Students who will clear the common entrance test will be listed in the Merit List. Each candidate, whose name will be in the merit list, will be provided rank based on his/ her marks in the exam and later he/ she will be called for Counselling process. Counselling process will start from June month probably. Candidates will have to register for AP LAWCET 2019 Counseling to take part in the admission procedure. Choose the colleges of your choice and submit the counselling fees also. Based on your college preferences, seat availability, and rank you will get a seat in the colleges of your choice. If you fail to register for the Selection Procedure, then you will not be considered for admission.